GREAT VALUE! An organic-based, chemically boosted fertiliser (in pellet form) specifically developed to enhance the growth and flower development of orchids. 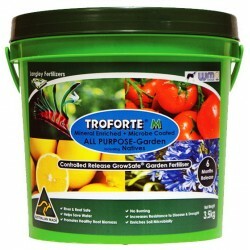 Also great for all potted flowering and fruiting plants, not just orchids. 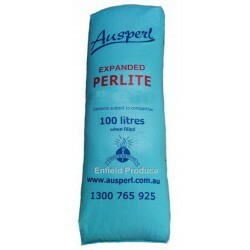 Super Value, 1kg, 2.5kg, 5kg, 10kg bags are re-packaged and sold in clear bags. 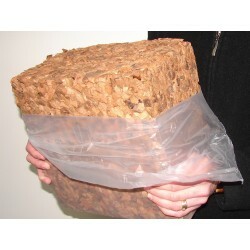 20kg in original packaging. NOTE: Multiple items of the same size will be combined into 1 bag. Neutrog commenced development of Strike Back for Orchids in early 2006 through establishing trials with various commercial orchid growers and via the members of a number of orchid clubs throughout Australia. Success in these trials has resulted in Strike Back for Orchids being recommended and endorsed by the Cymbidium Orchid Clubs of SA, NSW, WA and Victoria. 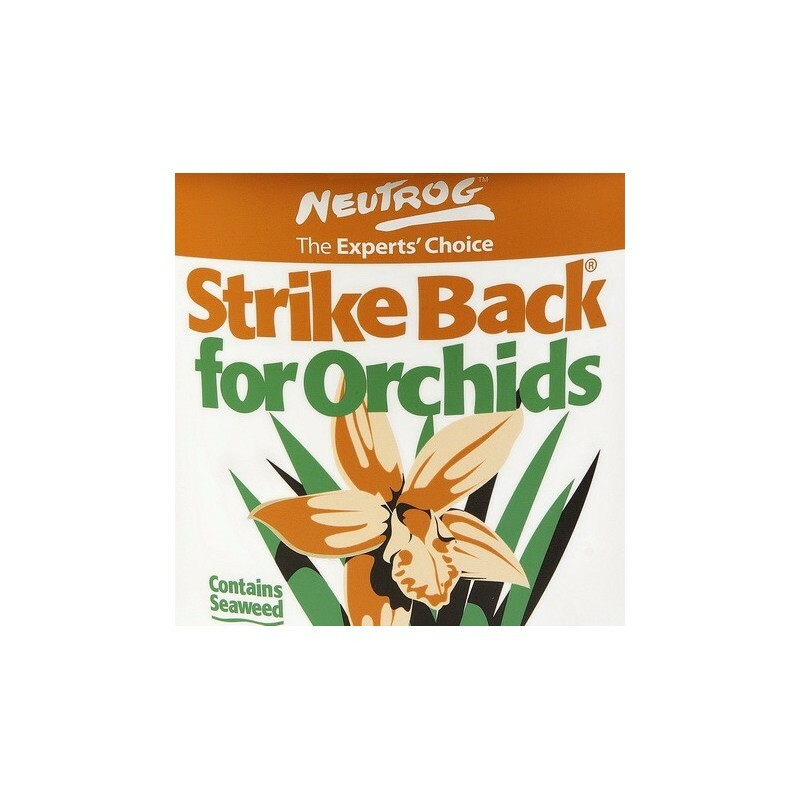 Strike Back for Orchids is an organic-based, chemically boosted fertiliser specifically developed to enhance the growth and flower development of orchids. Strike Back for Orchids combines the best of both worlds – its organic base provides a full range of plant nutrients in a slow release form, whilst the carefully selected water-soluble nutrients have been added to maximise the performance of each application. Strike Back for Orchids is manufactured in a pellet form. Prior to pelleting, the organic raw materials (manure and seaweed) are conditioned for up to 3 months, utilising a unique composting process. Once composted, the water-soluble nutrients are carefully blended into the organic base before finally being pasteurised and pelleted. The resultant product has an NPK ratio of approx 8:3:10 and has added magnesium, iron, manganese, zinc, copper, boron and molybdenum to the existing range of nutrients provided by its organic base – all of which are particularly necessary when growing orchids in an inert medium. 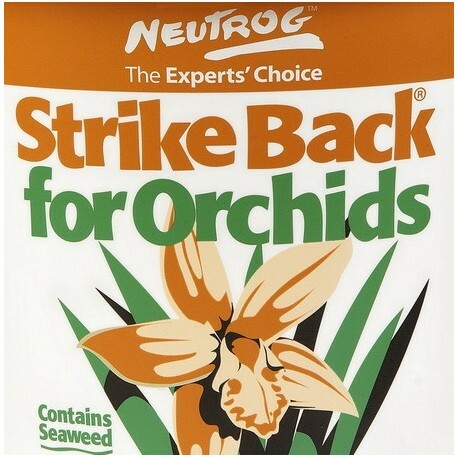 Strike Back for Orchids is a complete fertiliser and no further nutrients are required. 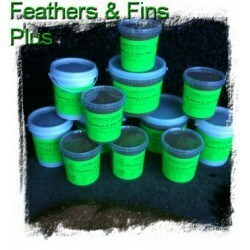 Apply 20gms (2 teaspoons) per 8-inch pot per month, with relative increases/decreases dependent upon pot size. Do not use Strike Back for Orchids when potting up young orchid plants as its high nutrient level may 'burn' young plants – Seamungus or Rapid Raiser are ideally suited for this purpose. 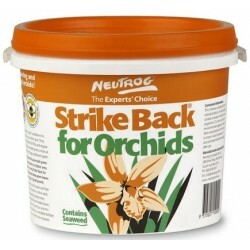 Strike Back for Orchids is an ideal fertiliser for all potted flowering and fruiting plants. An organic-based, chemically boosted fertiliser (in pellet form) specifically developed to enhance the growth and flower development of orchids. Also great for all potted flowering and fruiting plants, not just orchids. 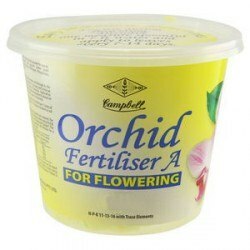 Orchid “A” Fertiliser is a yellow crystalline water soluble powder for use on orchids to increase plant development and growth where plant development has been retarded through lack of Nitrogen, Phosphorus, Potassium and mineral trace elements. 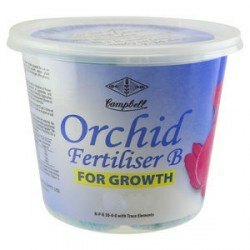 Orchid “B” Fertiliser is a yellow crystalline water soluble powder for use on orchids to increase plant development and growth where plant development has been retarded through lack of Nitrogen, Phosphorus, Potassium and mineral trace elements.